Win A Gift Card To Paper Culture! DIYI (Do-it-yourself-invitations.com) Ezine is a quarterly newsletter to keep you up to date with the latest happenings on our site, as well as any upcoming contests, giveaways, or announcements. 2. Newest printable invitations templates - Freebies and New kits! 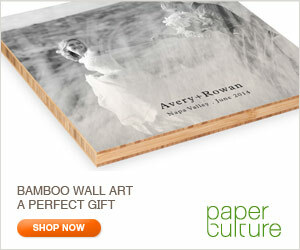 Paper Culture is a fab online stationery shop with tons of chic and modern stationery. They have been gracious enough to give away THREE $25 gift vouchers for our readers to spend at Paperculture.com! Come on over and check it out! Visit our contest page for details! 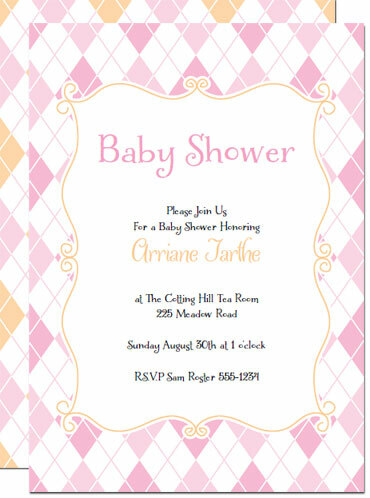 Cute as can be Argyle baby shower invitation templates. Also available in blue! Don't hesitate to contact us for custom colors. New elephant "shower" invitations and party kit. So cute and perfect for a girl or boy's baby shower. You can always stay up to date by subscribing to our Blog/rss feed! 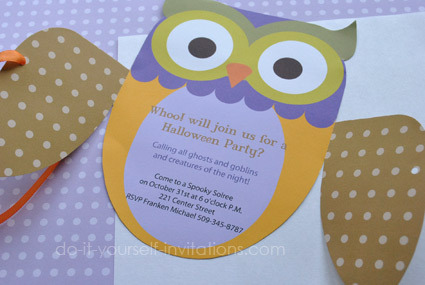 Visit the Do-it-yourself-invitations.com Blog to always keep current with the newest tips and tutorials. 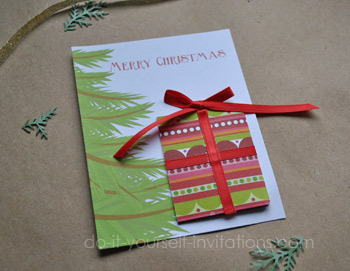 Print and make your own Christmas holiday cards or invitations! 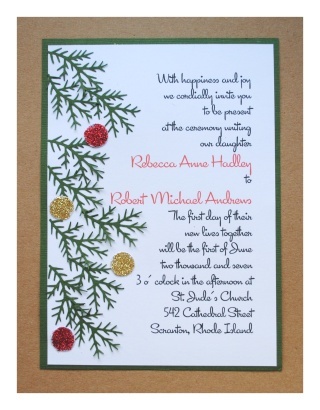 Christmas wedding celebrations DIY invitations! 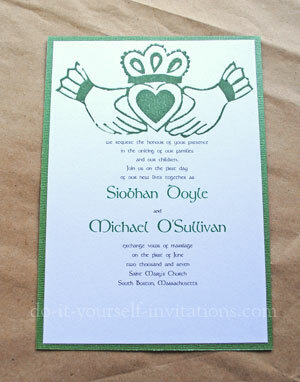 DIY Rubber stamping - hand stamped Irish Claddagh Invitations. 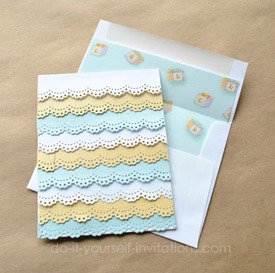 Sweet baby shower ruffle card. 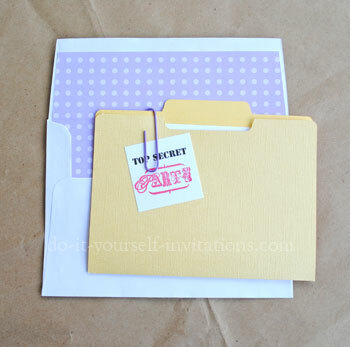 Top secret surprise party invites with free die cutting templates. Well we've added a new feature to the site. Submit your very own tutorials and articles to the site and receive an active link back to your website or blog. We'd love to see your work, or hear about some of your favorite invitation ideas and paper crafting techniques. 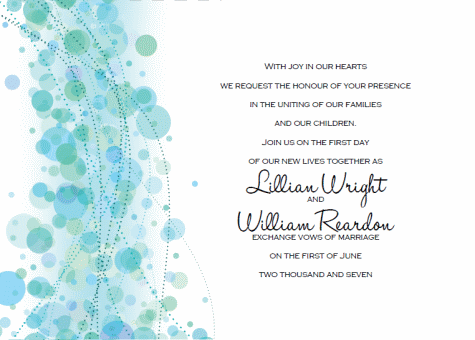 You can even just show off your own handmade wedding, birthday, or baby shower invitations. We'd love to see them! Submit your article or tutorial.